When you first signed up for NinjaWP you would have been redirected to our Customer Information Page. The form on this page requests all of the information we need to get started supporting your WordPress website. If you didn't get directed to this page or just have no idea what to do, open a ticket and one of our support ninjas will walk you though the process. First and foremost we will need Admin level need access to your WordPress website - we can't do anything without this information. We prefer that you create a new WordPress admin user account specifically for NinjaWP - this leaves your personal WordPress account private, as it should be. Creating a new user is super simple, just watch this short video that demonstrates the steps (there are only 4!). If you prefer you can also send us the WordPress admin access you use to access your website. 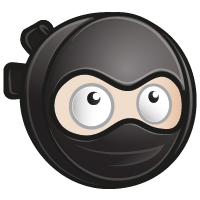 We will use this username and password once, to create a new user account for NinjaWP, leaving your WordPress account untouched. Once we've created a WordPress user for us to access your website we will delete the username and password you sent us. Don't be embarrassed if you have no idea what FTP access is - most people would never need this information and probably never even received this information from their web host. FTP access isn't vital but it can be very helpful when fixing certain problems with a WordPress website. If you don't have this information your web host will be able to provide it for you. Our support ninjas will help you with tracking down this information if you are unsure how to proceed. If your username is 'admin' we will notify you and then change it immediately. This is, by far, one of the biggest security risks we find when working with WordPress websites. We may also need your domain name registrar access information if you need a subdomain setup. If your DNS is hosted on your web server instead of by your domain name registrar we will need access to that instead. Our support ninjas will walk you through the process to get this setup.